Hard disk drives come standard in most computers, but that doesn’t mean they’re the best option. Solid State Drives, also known as SSDs, can up your computer game in a BIG way. While this may be old news if you’re a tech-savvy computer buff, not everyone is “in the know” when it comes to computer drives. This post is for people who use their computers for work or play but don’t have the time or inclination to dive into the details on a regular basis. That’s what CompuTech Support Services is here for: to help you maximize your computer’s performance and longevity at the best price! We’re just gonna say it: SSDs are awesome. They have a few drawbacks, mainly when it comes to price and capacity, but SSDs bring SO much to the table that the cons seem to disappear. 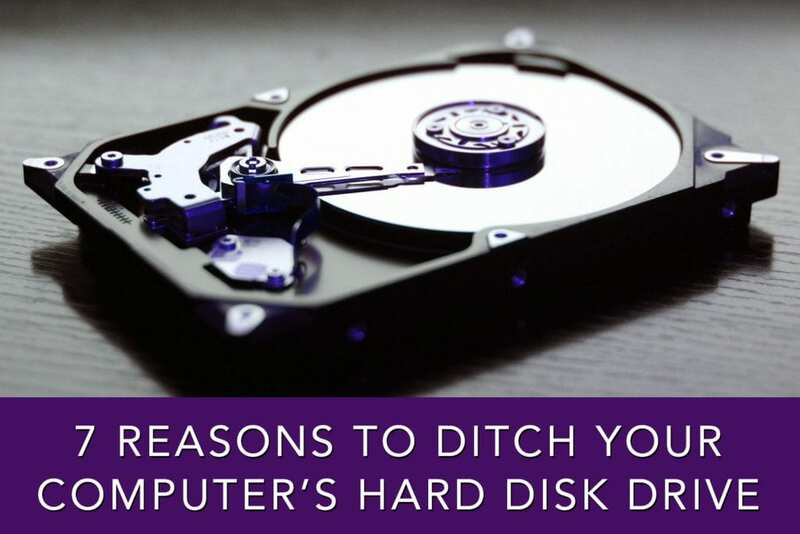 Yes, Hard Disk Drives (HDDs) offer greater capacity at a lower price, but that’s all they offer in comparison. If you mainly use your computer to do some word processing, scroll through Pinterest, keep an eye on Fantasy Football, or correspond via email, sticking with an HDD should suffice. However, if you are a gamer, video editor, photo editor, or simply a heavy computer user who wants the best, SSD is the way to go. One of the single biggest reasons SSDs are next-level is that they’re made of chips – they’re not mechanical devices. Drives with moving parts are much more likely to wear out and fail, thus SSDs drastically reduce your drive failure rate. Do you remember record players? Like a record player, HDDs spin a disk and move a head back and forth across platters to read and write data. This process can only go so quickly.SSDs, however, have no moving parts and are extremely quick at reading and writing the data on them. This speed helps gamers and other high-demand users boost their system’s performance and prevent lag. HDDs start to slow down significantly when they surpass 80% capacity since they read from the outer edges of the platters and move inward – crossing a large diameter as they read. Conversely, SSDs can fill virtually all the way up and not slow down – maintaining excellent performance. One of the pesky, but tolerable, things about standard hard drives is the noise. Spinning platters and moving heads can create extra noise that you just don’t need. SSDs eliminate that particular type of noise pollution in your computing workspace. Another reason to love SSDs? While they may cost a bit more on the front end, they draw less power and use less energy. That’s great news if your using a laptop as it increases your battery run-time between charges. Your cat may not like this if it lays across your laptop to stay warm: because they have no moving parts, SSDs generate less heat. Over time, heat can slowly damage electronic components and reduce the lifespan of your computer, so kitty’s loss is your gain. Magnets Near Your Computer? No Problem! Standard HDDs use magnets when writing information to the drive’s platter, which makes the drive vulnerable to accidental erasure by strong magnets. You’ll have one less thing to worry about once you’ve installed an SSD! If you’re ready to boost your computer’s performance and longevity by switching to an SSD or have more questions about whether or not an SSD is a match for your needs, please reach out via phone or email us at info@computechsos.com. Question: Why isn’t my MacBook holding a charge? Answer: Your battery may be failing. Check your cycle count to see if it’s time to replace your battery. Check the cycle count, which is under the Health Information subsection. Confused or unsure about how to proceed? We’re happy to help you with any diagnostics or battery replacements you may need. Give us a call at 310-237-6065.